Only requisite boating expertise could navigate the winding, treacherous legs of the Lehigh River as they stretch through eastern Pennsylvania. Starting at Pocono Peak Lake in Lake City, where the infantile waters spring from glacial sloughs and estuaries, it is not long before the tides become angrily adolescent, aggressively descending 1,000 tumultuous feet as they barrel toward the tri-county line of Carbon, Lehigh, and Northampton, carving into Silurian quartzarenite layers of the Blue Mountain along the way. The white-knuckled forty-one mile sojourn ends at here at the Lehigh Gap in White Haven, however. For at this juncture the rebellious river matures into middle age, mellowing while the valley floor widens and rolls onward toward Bethlehem, Allentown, and eventually Easton, where it empties into the Delaware. There is much pleasure in considering how tame the Lehigh River becomes, once it has assimilated to a broader basin. Settled, it affords its navigator the extraordinary opportunity to view the gently rolling hills and greenery along the river bank. The same could be said for humanity as it flows from age to age. Although most remain on course while navigating life’s many channels, mostly everyone grasps himself a bit more tightly when the pathway is slender and the waters rough, and leans back at other times to enjoy that which the view can provide. Clearing a safe path into the blossoming metropolis, my subject then voyaged toward the smoother waters of The Berghoff, the institutional establishment at 17 West Adams that opened in 1898. Like its founder, a Dortmunder named Herman Joseph Berghoff whose interest in hospitality grew at the turn of the nineteenth century as a result of his experience as a brewer, the young man sought similar success, only, desiring to serve in the celebrated dining room. As the day wore on and my subject adjusted to the continual replenishment of customers that the venerable Berghoff supplied, he found it easier to enjoy a view that so few modern restaurants afford. Grueling work notwithstanding, one notable Berghoff employee never missed a day of work. General Manager and maitre d’ Michael Santiago, the man responsible for the hiring of countless Berghoff staff members, could always be found manning The Berghoff’s maitre d’ stand over the course of a half-century. Such record attendance overshadowed those belonging to his trusted staff, many of whom had been employed thirty years prior to the hiring of my subject. 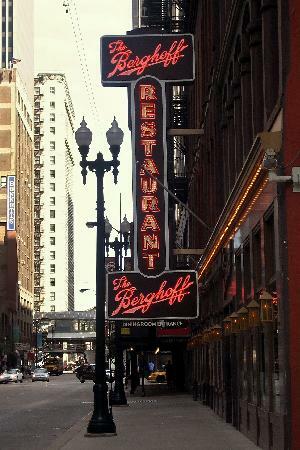 Yet, as my subject’s years of service grew into decades, a significant change of hands occurred at The Berghoff that altered the course of the flagship restaurant and its family of employees. Third generation owner Herman Berghoff, a septuagenarian, announced his retirement in 2004, passing the oar to the engineer of The Berghoff’s fourth generation, Peter Berghoff. Next, a number of months passed during which the new proprietor tried his hand at managing the hull. Finally, a fateful meeting was called to discuss the restaurant’s newest direction. 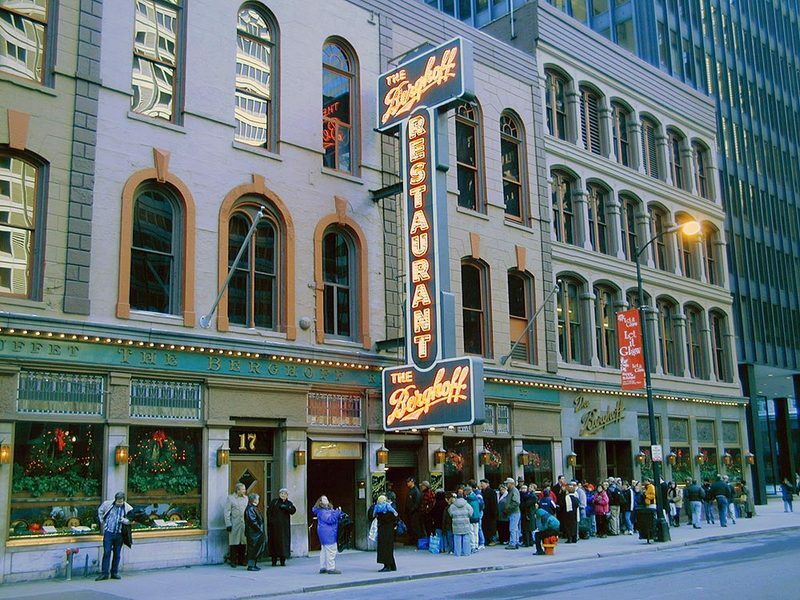 An unrelenting influx of business occurred over the next few months, assuredly tiring for the fulltime Berghoff team, but satisfyingly bittersweet. For, as a result of Peter’s predilection for a sea change to occur within his century-old vessel, its employees left their employ at 17 West Adams with pockets that were almost as heavy as their hearts. In regards to my friend who was hired by everpresent General Manager and maitre d’ Mike Santiago in 1984 and remained until the final day in 2006, he took a three-month long vacation shortly after the doors were closed, enjoying South America’s warmth before navigating his way back to the Czech Republic for a month-long stay. Upon returning to the United States, he started his first job hunt in twenty-two years, while maintaining ties with his beloved Berghoff family. Free to begin anew, my subject directed his sails toward a broad tributary next, one which veered away from his original course within a family-owned establishment and into the deep waters of corporate dining. There, he continues to this day, steady in the stern of his career with oar firmly in hand, navigating the occasionally tumultuous waters of service capably and confidently, yet, with a sense of grace that can only be afforded by one who fully enjoys the view.